Oxfordian Journal Chapter 2: When Prince Hamlet Became My Friend … My Soul Mate! We put on Hamlet in my senior year of college. I was cast as Laertes and began several weeks of practice with the fencing team, to prepare for the duel with Hamlet near the end of the play. In fact it worked out well, with the two of us bounding up and down stairs, leaping off various parts of the set and clanging our swords (foils) according to a choreographed duel that we kept intensifying with each performance. 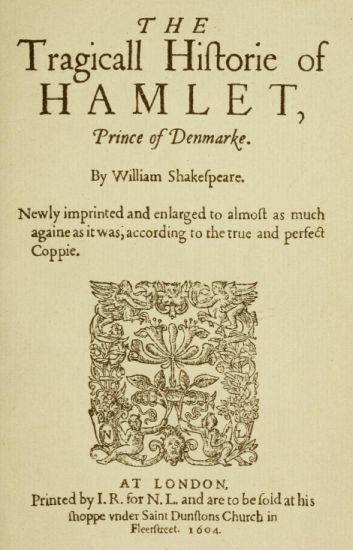 The 2nd Quarto of “Hamlet” (the first full, authorized version) was published soon after Edward de Vere Earl of Oxford died on June 24, 1604, and then no more authorized printings of yet-unpublished Shakespeare plays appeared for eighteen years. Laertes, of course, is the brother of Hamlet’s bewildered young girlfriend, Ophelia, who is also his potential wife. And of course the father of Laertes and Ophelia is Lord Polonius, chief minister to King Claudius. And of course Claudius has murdered Hamlet’s father and married his mother, Queen Gertrude, thereby stealing the crown of Denmark from the prince – who, in England at least, would have been the automatic successor. It would be a very long time until I heard anything about the eccentric and Hamlet-like nobleman Edward de Vere, Earl of Oxford, Lord Great Chamberlain of England. 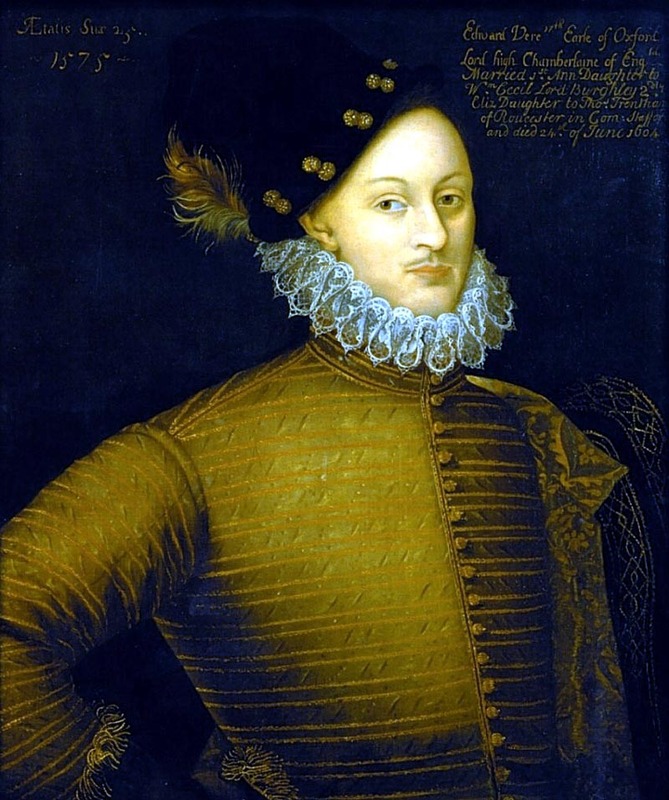 It would be many years before I learned how Lord Oxford had married the bewildered young Anne Cecil, whose father was William Cecil Lord Burghley, chief minister to Queen Elizabeth, and the man who, like Polonius, made spying and the enlistment of spies an integral part of life at the royal court (and everywhere else). Looking back, it’s ironical that later in my senior year we put on Long Day’s Journey into Night by Eugene O’Neill, in which I played the older brother, Jamie, and it seemed quite natural to be keenly interested in that author’s life and how the play reflected it – especially in that particular masterwork, which is autobiographical inside-out. I read all I could about O’Neill, including many of his other plays, but I had no such interest in learning about Mr. Shakespeare. For reasons that never crossed my mind at the time, we had no inkling there might be a connection between the character of Hamlet and the character of the author who had created him and brought him to life with his pen. On stage we were in the world of Denmark, not England, and in the world of Denmark we stayed. Meanwhile I was becoming so fond of the prince that I listened to everything he said, not only when I was with him on stage but while standing in the wings as well. 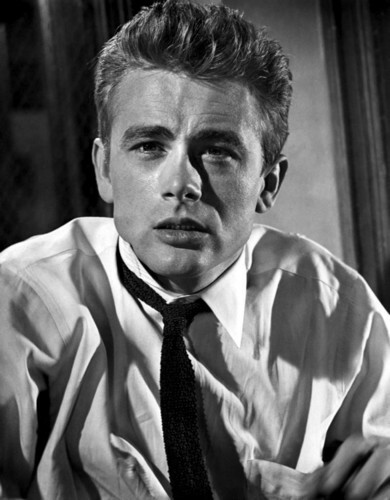 I loved the guy – for his quick mind, his sharp sense of humor, his rebelliousness, his howls of pain. I loved that he was hiding his true self from everyone except his pal Horatio, whom he trusted. The other characters on stage had their different individual views of the prince (all of them wrong), but they were unaware that he was putting on an “antic disposition” to keep them off track.